There must be somebody out there left cold by Giacomo Puccini's "La Bohème." But who? -- and how? Vittorio Grigolo -- what a dreamboat! Opera Chic has already raised her hand, and our own Jens Laurson has memorably trashed that most beloved of Italian operas (it's a pity that the comment thread attached to that post was lost when we switched systems). For my part, La Bohème will always be exempt from harsh criticism because it is the first opera I grew to love: it hooked me on opera, so I overlook its weak points. As Page notes, La Bohème is an easy pill to swallow for an opera neophyte, but whether it will unblock a listener's ears permanently to the pleasure of opera is not at all sure. Most people who develop a soft spot for La Bohème will not go out the next week -- let's face it, probably not for the rest of their lives -- and develop a similar weakness for Duke Bluebeard's Castle. The new staging by Polish director Mariusz Treliński (seen here in Madama Butterfly and Andrea Chénier) will probably be of interest. As I looked forward to the 2007-2008 season, this production disappointed me the most, not because of the director but because of the casting. The cast is young, singers reportedly chosen as much (or even more) for their attractive appearances as their voices. (Page discreetly avoids the issue of the singers for the most part in his article, which causes one to read between the lines.) 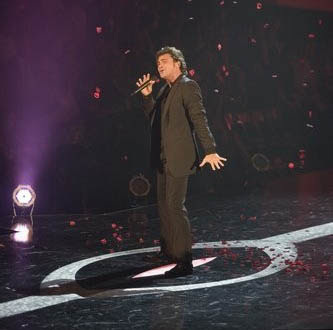 One hopes that the company will make some money from the combination of sold-out houses and star-free budgets, but Vittorio Grigolo as Rodolfo may cut into the profit margin (although his alternate career as a crossover heart throb likely means he does not need money). Among the relative better-knowns, the Musetta will be Nicole Cabell, whose appearance in the role at Santa Fe Opera this summer has been described as "almost inaudible," "a bit underpowered," and "big in the recording studio, not so big otherwise." If the reason you go to the opera is to hear the most compelling singing possible, as well as to see engaging drama, you may wonder about the rate of casting to ticket price (as much as $500 on opening night!). We will have some season previews later this week, but our first recommendation of the year goes to the revival of American Opera Theater's Ground (September 7 to 9), which will inaugurate the company's residency at Davis Performing Arts Center, on the campus of Georgetown University here in Washington. When the experimental opera troupe from Baltimore (formerly known as Ignoti Dei Opera), presented Ground at Baltimore Theater Project last summer, not only did it receive a stellar review from Ionarts, it ended up making our list of Top 10 Live Performances of 2006. For its musical score, Ground patches together a series of unrelated vocal and instrumental pieces from 17th-century Italy. Most of the music is built over repeating bass patterns (known in English as ground bass), a compositional process that is static harmonically but that pulsates with rhythmic variation and invites visual diversion. The repetition of a musical trajectory, an ostinato pattern of chords, is echoed in the story created under the direction of AOT's Timothy Nelson. It is simultaneously contemporary and timeless, about a man (Him) and a woman (Her) who meet, fall in love, and -- no more spoilers. The Italian texts sung by the two performers -- this year as last year, countertenor Brian Cummings (Him) and soprano Elizabeth Baber (Her) -- have little if anything to do with the action, and supertitles usually avoid giving any literal translation. For far less money (tickets are priced from $15 to $30), you will get to see a new work of operatic theater (not an old and overdone one reworked in yet another way), but without the additional challenge of new music. Do what Clayton Koonce has already done and buy your ticket. When it comes to Schumann's Kreisleriana, Jens has already declared that the search for the perfect recording ends with Maurizio Pollini, and far be it from me to disagree with that recommendation. It is the set of Schumann character pieces with which I feel the least connected, probably because I have not spent hours in the practice room struggling to make it sound not awful. Recent perusal of the online score has reminded me of just how difficult Schumann's writing can be, with all those tangled lines at impossible distances from one another. The piece's namesake, Johannes Kreisler, was the manic-depressive composer-hero of three of E. T. A. Hoffmann's novels. Schumann, who compartmentalized his own personality into manic (heroic Florestan) and depressed (moony Eusebius) characters, likely identified with Kreisler. The challenge, beyond the technical demands of picking out the melody from the wash of arpeggiation, is to capture the bipolar contrasts. The remastered version of Mitsuko Uchida's Kreisleriana, released earlier this month, has provided the opportunity to reassess another excellent reading (made in 1994 at Snape Maltings). The melodies are perfectly etched in Uchida's singing tone, voiced resonantly among whirring clouds, in both forceful and wispy sections (compare the A and B sections of the first movement, for example). In the second intermezzo of the second movement, she nestles the melody cleanly in the center of the figuration, and captures the chimeric quality of the Langsamer section. The most taxing movements, probably the fourth and seventh, are nothing short of stunning, especially the sequences of the latter, purled out with seeming effortlessness. The market is glutted with extraordinary recordings of Kreisleriana, a selection of which are shown here. 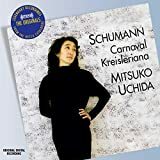 Uchida is the one that could challenge Pollini the most, paired as it is with her equally good Carnaval (in many ways a more accessible piece) and now considerably reduced in price. 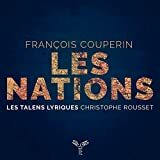 Based on this review from Paris, I have a little dream that Mikhail Pletnev is planning to record the work: he is playing it in recital lately, so we can speculate wildly. 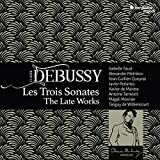 It is not an enviable situation for a young pianist who wants to make an impression with Kreisleriana, as the Curtis-trained Jonathan Biss did earlier this year for EMI. Not only does Biss's Kreisleriana suffer by comparison, but Pletnev has recorded a much more interesting (if slightly odd) reading of the Fantasy in C, op. 17, in his 2004 Schumann disc on DG. Earlier this spring, I revisited the legend of Evgeny Kissin, as represented by the re-release compilation of some of his early recordings, called Fantasy. His recitals in Washington have won consistent praise around here, from Jens in 2005 and me in 2007 (for DCist). We have enjoyed Kissin's performances of the music of many composers, including the disc of Schubert for four hands with James Levine, but invariably it is Kissin's way with Chopin that knocks us flat. 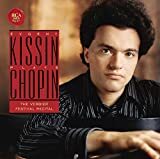 This live recording of Kissin's recital at the Verbier Festival in July 2006 is a nice testament to the mature Kissin's handling of a challenging all-Chopin program (much of it included in Kissin's 2005 recital at Strathmore). 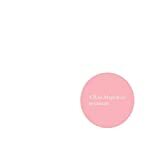 Kissin tackled four polonaises, some of the most personal pieces Chopin composed. 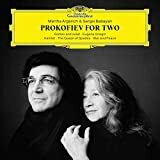 They are difficult to play not only for their technical demands but their emotional character, bound up intimately with Chopin's identity as a Pole in exile (if we can call Romantic Paris exile). The two early polonaises (op. 26), especially the second one, are masterful readings of less familiar works of considerable charm. Kissin strikes the right balance of blustery Polish nationalism and the forlorn mal de pays -- the Chopin who recited the poetry of Adam Mickiewicz to himself. A few minor cracks even appear in the perfect Kissin veneer, noticeable only in the "Heroic" polonaise (A-flat major, op. 53) that concludes the recital (for example, at about 1:34 in Track 8). That does nothing to diminish Kissin's accomplishment, which is technically staggering (like the rolling thunder of the bass in the B section), and in fact adds a level of sympathetic complexity. 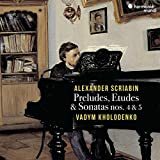 The other four pieces on the program are impromptus, a genre rightly identified by Stephen Wigler (who has made a sort of mini-career out of writing about and for Kissin) in the liner notes as more or less Chopin's exclusive territory. Rarely of the same substance as the polonaises (by length if by no other criterion), the impromptus in Kissin's hands are appropriately mercurial, prone to sudden flashes of dreamy reverie or volatility (like the butterfly flutters starting at around 3:55 in the op. 36). Kissin has played the infamous Fantaisie-Impromptu (C-sharp minor, op. 66), because of which every pianist (myself included) eventually has to learn to play sixteenth notes against triplets, at both of his recent Washington recitals (on the program in 2005 and as one of his eight encores this spring). It's a signature piece that Kissin could probably play in his sleep, and he can even make me forget the rainbow-chasing travesty perpetrated on this piece by Harry Carroll (even when sung as memorably as Al Jolson did). At this year's Verbier Festival, Kissin appeared with the festival orchestra and conductor Esa-Pekka Salonen (July 26) and gave a solo recital (July 30). These concerts can be seen in streaming video, of very high quality (although experiencing a few glitches at the time of this writing), online only through August 31. I was saying these things and weeping in the most bitter contrition of my heart, when suddenly I heard the voice of a boy or a girl I know not which--coming from the neighboring house, chanting over and over again, “Pick it up, read it; pick it up, read it.” Immediately I ceased weeping and began most earnestly to think whether it was usual for children in some kind of game to sing such a song, but I could not remember ever having heard the like. So, damming the torrent of my tears, I got to my feet, for I could not but think that this was a divine command to open the Bible and read the first passage I should light upon. 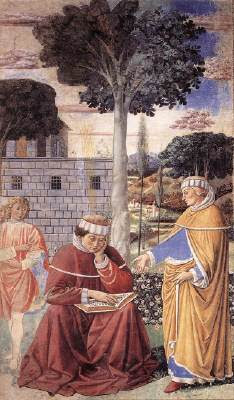 For I had heard how Anthony, accidentally coming into church while the gospel was being read, received the admonition as if what was read had been addressed to him: “Go and sell what you have and give it to the poor, and you shall have treasure in heaven; and come and follow me.” By such an oracle he was forthwith converted to thee. So I quickly returned to the bench where Alypius was sitting, for there I had put down the apostle’s book when I had left there. I snatched it up, opened it, and in silence read the paragraph on which my eyes first fell: “Not in rioting and drunkenness, not in chambering and wantonness, not in strife and envying, but put on the Lord Jesus Christ, and make no provision for the flesh to fulfill the lusts thereof.” I wanted to read no further, nor did I need to. For instantly, as the sentence ended, there was infused in my heart something like the light of full certainty and all the gloom of doubt vanished away. Today is the feast day of Saint Augustine, which is very appropriate for the opening of school. The above is the saint's account of how he was turned from the sins of his youth to the holy life. The Latin of the child's song he hears is the title of this post. 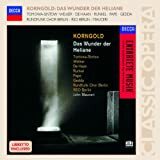 Erich Korngold's second full-length opera, Das Wunder der Heliane (1927), last came across the Ionarts radar because Renée Fleming recorded some excerpts on her Homage CD, reviewed earlier this year. (La Fleming will sing one selection from the opera, and another from Die Kathrin, at the National Symphony Orchestra's Season Opening Ball Concert on September 16.) 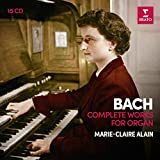 One of the best things that you could do to celebrate the Korngold Year -- he died 50 years ago, on November 29, 1957 (the official sponsor is Jessica Duchen) -- is to acquire this excellent recording of Heliane (made in 1992), re-released at almost one-third of its regular price. 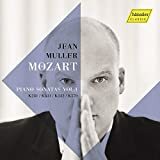 Someone needs to buy a copy for Edo de Waart and whoever replaces Richard Gaddes (assuming they do not have one already, which is probably unlikely), to increase the chances that Santa Fe Opera will stage Heliane. The historical background of the opera's creation, outlined capably in the liner notes by Brendan G. Carroll, is significant. Heliane was composed during the first two years of the composer's marriage, to a woman hated by his controlling parents. 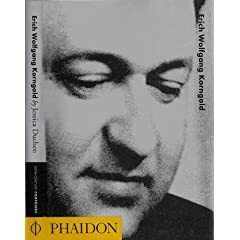 Korngold's father was a celebrated and ultra-conservative music critic in Vienna, the literal successor of Eduard Hanslick, and he attempted to use his son as a pawn in his critical tirade against atonal modernism. The libretto, Hans Müller's adaptation of a mystery play (Die Heilige) by Hans Kaltneker, could be interpreted as the struggle of Julius Korngold (the Ruler) and Erich Korngold (the Stranger) for the love of Music (Heliane). In the end, the Ruler's power is broken, and the Stranger and Heliane rise to eternal life, exalted in union. The angels that sing in chorus in the third act connect the lovers' salvation to the power of their love, a notable echo of the end of Mahler's Resurrection symphony (and the end of the Symphony of a Thousand, for that matter). Not surprisingly, Korngold dedicated the opera to his young wife. It is a shame that Heliane was overshadowed by Krenek's brilliant Jonny Spielt Auf, premiered in the same year. Carroll's essay also explains how Julius Korngold's campaign against Jonny, overlapping uncomfortably with the rise of the National Socialist party, actually contributed to the negative reception of Heliane. The weak libretto, based admittedly on a wacky source, was no help either. Regular readers, however, know that I have a weakness for weird operas on dark, fairytale subjects -- Pelléas, Die Frau ohne Schatten, Duke Bluebeard's Castle, Susa's Transformations, Die ersten Menschen, to name just a few. The combination of an odd story and luscious score has moved Heliane quickly into that category, too. 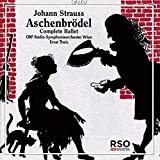 This recording, the only one of the opera, features generally fine solo singing from Anna Tomowa-Sintow (Heliane), Hartmut Welker (Der Herrscher), and John David de Haan (Der Fremde). La Fleming's rendition of the famous Act II aria Ich ging zu ihm -- in which Heliane testifies, during the trial ordered by the jealous Ruler, that she showed the Stranger her hair and feet and then stripped naked in his cell -- is more pleasing than Tomowa-Sintow's (this is what Fleming will sing with the NSO next month). One hopes Fleming will have the chance to sing the role on the stage soon. 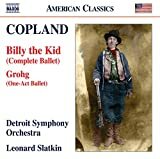 The score calls for a Glockenklavier (a lower relative of the celesta), only one part of a diverse and clanging battery, all of it used to greatest effect in the transcendent third act, where Korngold flirts the most with outright atonality. John Mauceri holds the large forces, well honed, together impressively. Only the women's voices of the Rundfunk Chor Berlin are occasionally too strident for their angelic role. Jessica Duchen will surely be covering the opera's much-anticipated U.K. premiere (we already know that she will give a pre-concert lecture), with Ionarts favorite Patricia Racette and the London Philharmonic Orchestra (November 21). Vladimir Jurowski will conduct. The second symphony was the first Mahler work to enter my consciousness, through a collegiate performance of it as a chorus member. 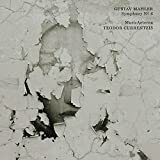 The piece immediately impresses on the ears a sense of transcendence, but in spite of listening to it for so many years, I still find many things about Mahler 2 mysterious. Mahler characterized it as the funeral for the hero of his first symphony, while its scherzo movement (quoted and deformed so memorably in Berio's Sinfonia) is musically related to Mahler's own song Des Antonius von Padua Fischpredigt. 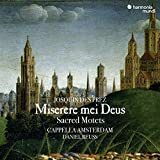 The artwork on this CD's cover, Arnold Böcklin's Saint Anthony preaching to the fish, is a sardonic commentary on that story. 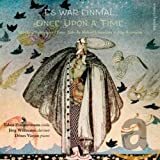 The shark listens piously to Anthony's sermon, fins crossed as if at church, but in the lower panel (cropped out on the CD cover), it goes back to its old ways, eating little fish (the same irony is present in the poem Mahler set, from Des Knaben Wunderhorn). What do Urlicht (fourth movement) and Auferstehn, ja auferstehn (fifth movement) mean, exactly? The fourth movement contrasts with the spirit of secularism in the scherzo, as if the hero were one of the fish hearing -- but not listening to -- Anthony's sermon. Mahler described the fifth movement as a sort of Last Judgment, and the hero's soul sees itself rise from oblivion toward the creator. However, the words that Mahler added to the verses from Klopstock's Resurrection chorale (which Mahler heard at the funeral of Hans von Bülow) transform the Lutheran background to something not really Christian. Whatever it means, no one could ignore this exquisite O Röschen rot! 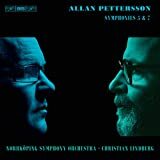 from contralto Anna Larsson, which Zinman never rushes, allowing his singer to unravel the melody from its harmonic background in a suspended trance-like -- but still speech-like -- way. Equally striking, the fifth movement has the full dynamic range from sonic boom to ghostly whisper. Once again, although the first three movements leave me a little cold, David Zinman has shown exceptional promise for his Mahler cycle. A recording of Mahler's third symphony from David Zinman and the Zurich Tonhalle-Orchester is expected this October. 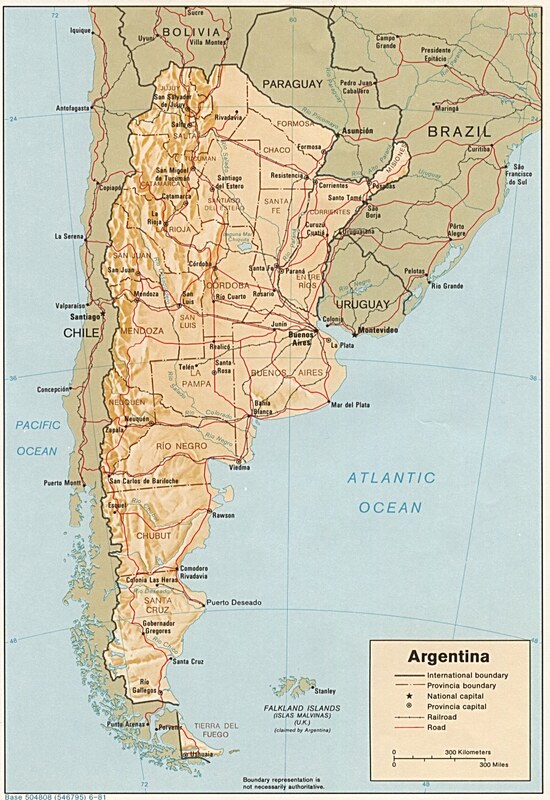 Sol Gabetta's first home was Argentina, but she moved to Europe with her family (Spain and France) for educational reasons in the 1990s. She now lives in German-speaking Switzerland (where she hosts the Solsberg Festival near her home in Olsberg, with the Kammerorchester Basel, in June), so her linguistic palette must be remarkable (including colorful English, as evidenced in this lengthy interview). 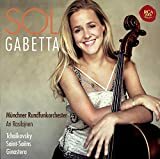 Her first major recording, on Sony's RCA Red Seal, features Tchaikovsky's Variations on a Rococo Theme, which Sol Gabetta will play later this season in concerts with the National Symphony Orchestra (June 26 to 28). The piece is a favorite of performers, last heard from the NSO with another beautiful young cellist, Alisa Weilerstein, at the start of the 2005 season. 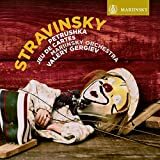 Tchaikovsky is not particularly one of my favorites, but this sugary piece, which lacks the heft of a powerhouse concerto, is enough to establish Gabetta's virtuoso bona fides (there is an excerpt online). Far more interesting listening is found in the tracks that follow the Rococo Variations. Not really the three little Tchaikovsky encore bon-bons, which are mostly in the same pretty vein, but the demanding first cello concerto by Saint-Saëns. 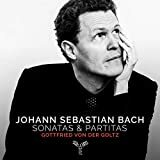 This piece is heard less often, and Gabetta negotiates its bravura solo part with passion and flair, occasionally losing some of the refined sound of her tone elsewhere. The best eight minutes by far on this disc are the final track, Alberto Ginastera's Pampeana No. 2 (available online as an .MP3 file, in a version with piano), a sultry and exciting piece one hopes she will play as an encore in Washington. The affinity of Gabetta for the music of her countryman comes across in the sound. Hopefully, a future Sol Gabetta disc will be devoted to Ginastera: he composed two concerti and one sonata for the cello, as well as this charming pampeana (named for the region of Argentina to the south of Gabetta's native Córdoba). Here is your regular Sunday selection of links to good things in Blogville and Beyond, although there is not much at the end of August. Gustav Mahler's third symphony is the latest in Claudio Abbado's Lucerne Festival cycle. Abbado and his hand-picked orchestra from the Lucerne Festival traveled to London, to perform Mahler's third at the Proms on Wednesday night. That performance has been made available, for a week, by Internet broadcast at the BBC Web site (unfortunately, requiring RealPlayer). 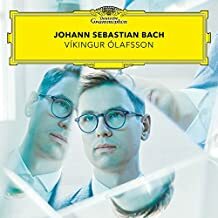 It is certainly not as good as hearing the concert live, but it sure beats merely reading a review (in The Times and The Guardian, both rapturous). 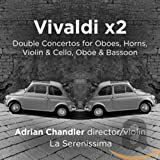 Jens has recommended two recordings of Mahler's third: Pierre Boulez with with the Vienna Philharmonic, with Anne Sofie von Otter singing the crucial solo part, and the live recording by Claudio Abbado and the Berlin Philharmonic. Abbado returned to the same singer for the Lucerne Festival performance, the exquisite contralto Anna Larsson. 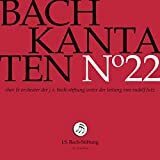 David Zinman also worked with her in his recent recording of Mahler 2 with the Tonhalle Orchestra Zurich (review forthcoming), and her loamy, rich voice is ideally suited to the voice of Life calling to Zarathustra in the fourth movement ("O Mensch! Gib acht!"). You know, in America, there are wonderful orchestras everywhere, but I never accepted a position there, because I can't fight with the unions. [...] The terrible thing is that the players of orchestras like that, they finish the rehearsal not because the music is finished, but because the time is finished. The second movement was a field of luminescent and delicately petaled flowers, and the third evoked the frolicking of animals in the countless wind solos especially, all beautifully played. The posthorn in the distance, a voice of human intrusion, was dreamy and hazy, if not always perfectly in tune with the orchestra. The success of a Mahler 3 performance hinges on the fourth movement, the luxuriant, revelatory setting of Nietzsche's (drunken) Midnight Song. 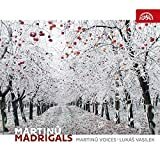 I had never made the connection before, but the wailing call that opens the movement and recurs thematically throughout, a glissando upward, may be what is behind the mysterious "whale call" that plays a structural role in Edgard Varèse's Poème électronique. Anna Larsson, whom we last heard live as Fricka in the Fura dels Baus Ring cycle in Florence, rang out prophetically but also caressed every phrase and phoneme of what is essentially an extended accompanied recitative. Like so many of the themes of the third symphony, that ultimately serious moment is immediately contrasted by the joyous, folksy, tintinnabulatory fifth movement, which combines the choruses (children and women's voices) with the soloist on a poem from Des Knaben Wunderhorn. Then Love speaks to Mahler, in a poignant song without words. Mahler fans everywhere should look forward to this Lucerne Festival performance to be released on DVD later this year. Also, make sure to read the tributes to Abbado, by musicians in the Lucerne Festival Orchestra, at the end of Tom Service's interview. In August, when most galleries slow down or close all together, not so at Jen Bekman’s tiny Lower East Side gallery. First, Bekman just announced the winners of the Summer '07 Hey, Hot Shot photo competition, something I mentioned in a previous post. Hot Shot is a fabulous opportunity for photographers to get in a NYC gallery group show, and even if you're not selected, throughout the month before the announcement of the winners, the gallery staff will load images and artist info on their Flickr site and blog, making for an exciting buildup to the exhibit. The show will be up from September 13th to the 16th, short but sweet. 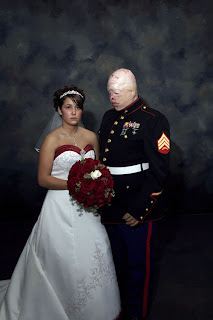 Showing now at Bekman is Purple Hearts, photographer Nina Berman’s images and interviews with soldiers severely wounded in Iraq, including her award-winning Marine Wedding, shown here. The images are amazing, sensitive, and apolitical: they are a direct testament to the consequences of war. Here is Holland Cotter's review in the New York Times. Classical Month in Washington is a monthly feature. If there are concerts you would like to see included on our schedule, send your suggestions by e-mail (ionarts at gmail dot com). Happy listening! 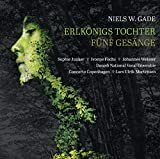 "For the Beauty of the Earth: Songs of Nature and Conservation"
We have reviewed the National Symphony Orchestra in two concert performances of Mahler's 1st symphony (with Roberto Abbado in 2004 and Leonard Slatkin in 2007), and Jens has recommended Rafael Kubelik's recording with the Bavarian Radio Symphony Orchestra. Sometimes known as "Der Titan" (see the essay by Henry-Louis de La Grange), this symphony was described by Mahler as the story of "a powerful, heroic man," whose burial is commemorated in the Resurrection symphony. 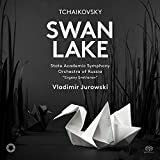 The work was a dismal failure at its 1889 premiere, with the composer at the podium of the Budapest Philharmonic. 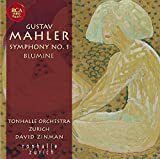 In several stages, Mahler revised the symphony extensively, most importantly cutting it from five to four movements by excising the second movement, an Andante allegretto now called Blumine (recently reviewed at Ionarts in a performance by the Baltimore Symphony). 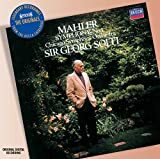 Georg Solti made a landmark recording of the Mahler first symphony with the London Symphony Orchestra in the 1960s, following it in 1983 with a second one with the Chicago Symphony Orchestra. That second recording has recently been reissued by Decca, prompting me to revisit it. Unlike the Kubelik, in which Der Titan was paired with the Lieder eines fahrenden Gesellen, the symphony stands alone on the Solti disc. Solti's reading is most remarkable in how he pushed the sections of the Chicago Symphony in the fast and loud passages. The players, especially the brass, respond with everything they have. There is little bend or subtlety, however, except in the third-movement funeral march, where there is some unwarranted stretching that strikes me as against Mahler's tempo specification, ohne zu schleppen (without dragging). 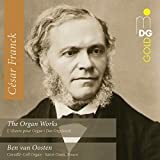 The things one hopes to hear in Der Titan -- the mystery of consciousness awakening with spring in the first movement, the Musikanten irreverently interrupting the "Callot" scene in the funeral march -- are a little bland. 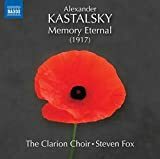 Still, the audible edge to this performance does suggest the sinfonia ironica epithet attached to this symphony by Viennese critic Max Kalbeck. 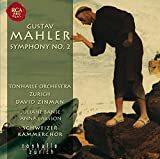 This new recording by David Zinman and Zurich's Tonhalle-Orchester inaugurated a complete Mahler cycle from these forces, followed closely by their Resurrection Symphony, which we are also listening to right now. 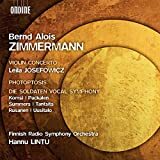 It is a shame that an American orchestra could not have kept Zinman here (well, except Aspen, that is) after his lauded time on the podium of the Baltimore Symphony Orchestra, but his recordings in Zurich have been successful. It is surprising that Zinman's track times for Der Titan are almost identical to Solti's, as the two renditions sound rather different. Only the funeral march is markedly different in length, with Zinman coming in almost 40 seconds faster than Solti, due at least in part to Zinman's much less square Musikanten and more characteristic sense of folk rubato. 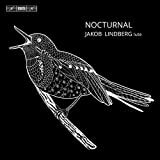 The spring forest in the first movement is distant and hazy, with the hungry calls of the cuckoos under a veil, and the trio of the second movement is suave without being oily. The Zinman recording has a final detail to recommend it, the inclusion of the Blumine movement as a fifth track. It is slightly odd to listen to the final version of Der Titan, in which the final movement reviews the sounds of the preceding movements (a gesture taken from Beethoven's ninth symphony). 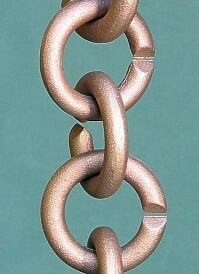 Among those themes is the gentle lilt of Blumine, originally in the second position, like the phantom itch of an amputated hand. 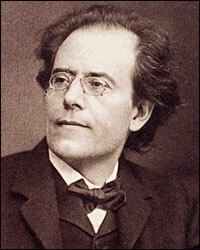 (See these further essays on Mahler's first symphony.) 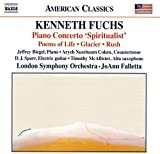 As Thomas Meyer notes in a perceptive article in the liner notes, modern sound technology allows each listener to program the playback of this disc as he wishes, reinserting Blumine or hewing to Mahler's ultimate plan. All in all, worth a listen. Judging by the number of views of his YouTube videos, just about everyone knows about beatboxing flutist Greg Pattillo by now. In case you were in the dark as I was, he is a classically trained flutist (M.M., Cleveland Institute of Music) with jazz and pop leanings. Mrs. Ionarts, who plays and teaches flute, passed along his name from one of her students (you know, the kids these days and the YouTube). He lives in Brooklyn now and is one of the officially sanctioned performers in the New York subway system. The best of his YouTube videos is this adaptation of Prokofiev's Peter and the Wolf, which begins with Pattillo displaying his chops on the solo of the Bird and then moves into his signature beatboxing style. His takes on the music of American popular culture -- the themes from Inspector Gadget and Super Mario Bros., which have gotten the most hits on YouTube -- interest me less, but there you go. It is normal at this point in the summer to complain about the lack of classical music in August. While the Ionarts Concert calendar is as empty as one expects this time of year, the growing phenomenon of classical webcasts is filling up the empty days and keeping us listening contentedly. The video broadcasts from the Verbier Festival are of extraordinary quality. 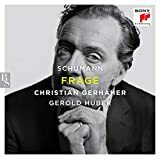 For example, last night I listened to (more than watched) the July 28 recital by Thomas Quasthoff and Hélène Grimaud, the second half of which is a complete performance of Schumann's Dichterliebe (starting at around 30:00). If you work in an office and cannot get away for a summer of classical music in the Valais, you could pass the days with the sound in your headphones as you work on a computer. There is Evgeny Kissin, Martha Argerich, Hilary Hahn, Nelson Freire, Esa-Pekka Salonen, and much more (according to rumor, online only through the end of August). 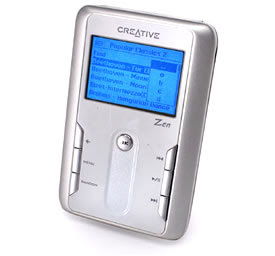 Unfortunately, the equally wonderful BBC Proms webcasts currently require the installation of RealPlayer (and the sound is not very good), which brings me to the following suggestion. Could all institutions that want to have webcasts make them available instead (or merely also) as .MP3 files? This is what the Gardner Museum did with its concert podcasts: you can download the file to your MP3 player and listen to it when you want. Like after you have taken your son, son's best friend, and nephew (with Grandpa and Uncle Dave) to the Maumee Valley Antique Steam and Gas Association's 30th Annual Summer Show. Watching the steam-powered vehicles shown in these photos actually running is enough to make any five-year-old's heart sing, AND there were remote-controlled airplane displays at the field next door. Then Dad could have listened to Elgar's The Apostles on the way home as the kids napped in the back of the car. No surprise, if we dare to say it, that Claudio Abbado appeared for the appointment he has set for five years with the audience of the Lucerne Festival by offering, on Saturday night, a masterful rendition of Gustav Mahler's third symphony. 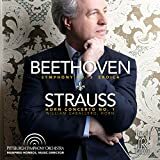 A work that is familiar to him and which he has already recorded, in 1999, in a memorable live version from London with the Berlin Philharmonic. The conductor remained faithful to Anna Larsson, a marvelous contralto with the warm and shining voice, who sang the text of the fourth movement, drawn from Nietzsche's Zarathustra, in Lucerne as in England. 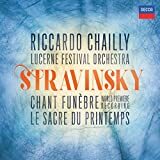 The third symphony with its choruses of children and women's voices and alto solo is imposing, as much by its length, over an hour and a half, as by its ambitious plan. Composed in six movements, as many days as it supposedly took God to create the world, it is a powerful meditation in the form of a dream on the origin of the universe. 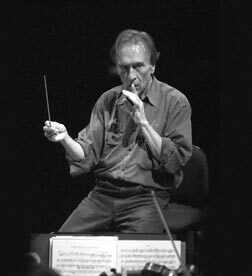 Abbado excels at building up the edifice of the work without anyone being able to perceive the scaffolding. The marvelous effect, according to Validire, is due to the unity and rarefied quality of the orchestral sound but also to the extraordinary acoustic of the Lucerne hall. Ionarts needs to get there one of these days. The Lucerne Festival Orchestra and Claudio Abbado will perform Mahler's third symphony again, at the Proms on August 22, which will be available for a limited time via the extraordinary Proms webcast page. I hate RealPlayer as much as the next person (everyone, please use a different format! ), but you have to do what you have to do. Last January, we reviewed a recital by lutenist Paul O'Dette and soprano Ellen Hargis at the National Gallery of Art. 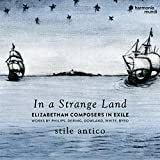 Both are regular participants in the Boston Early Music Festival, where they worked together on this production of Jean-Baptiste Lully's Thésée, in 2001. 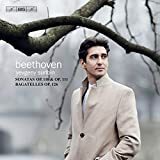 A co-production with Radio Bremen brought the performers to Germany, where this recording was made last September, somewhat surprisingly the only version of the opera now available. The opera was premiered at St.-Germain-en-Laye in 1675, although its prologue is set in the relatively new château of Versailles (which is one way to signal that the listener should read the opera in terms of the life of Louis XIV). The libretto by Philippe Quinault is one of the stranger works of literature, but the story is based upon Plutarch and Ovid, with a few extra characters thrown in to make it read like 17th-century French drama. Two mythological characters fresh from disastrous romantic liaisons become entangled with one another. The vengeful sorceress Medea, having just gotten murderously even with the unfaithful Jason, falls in love with her later husband's son, Theseus, who has returned to Athens after killing the Minotaur and abandoning Ariadne. (This family history does not get any healthier, since Theseus's son Hippolytus was killed in an accident after he rejected the advances of his stepmother, Phaedra.) As unlikely as the story is for operatic treatment, Handel's later opera Teseo uses a libretto that is basically Quinault's text translated into Italian. After its premiere at St.-Germain-en-Laye in 1675, Thésée was one of Lully's most successful operas, receiving numerous revivals in Paris late into the 18th century. One can actually consult the entire score, from its first printing, online. 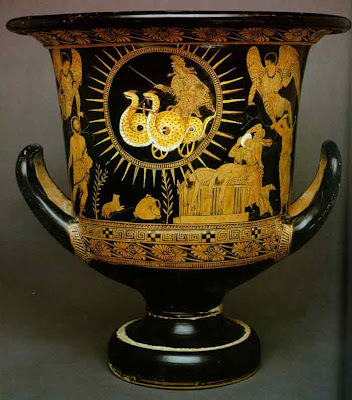 Calyx krater (with Medea in her chariot), c. 400 B.C. In our time, the opera has largely been forgotten, except for a few performances, led by William Christie as part of the Ambronay Festival. 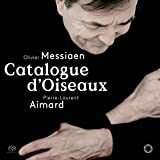 Also, Emmanuelle Haïm and Le Concert d'Astrée will present a staged production at the Théâtre des Champs-Elysées this February and at the Opéra de Lille in March, with Jean-Louis Martinoty directing and Anne Sofie von Otter as Médée. 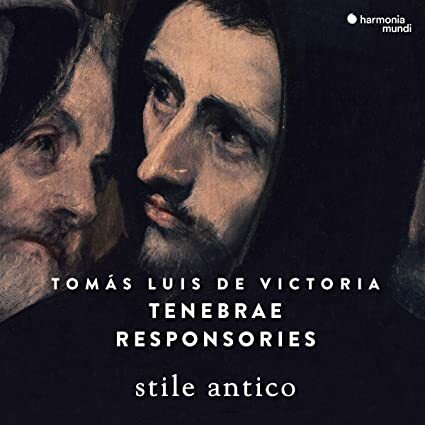 The Boston instrumental forces have a unified and propelled sound (as in the concluding Chaconne), directed gracefully from the theorbo section by Paul O'Dette and Stephen Stubbs. Any orchestra that has two musette players (Jean-Christophe Maillard and François Lazarevitch) is going to have some vibrant colors available. Laura Pudwell snarls and menaces as Médée, with a thick tone and percussive diction, while experienced Baroque tenor Howard Crook continues to impress with his flexible voice as Thésée. The bass of Harry van der Kamp (Ægée), of the same age as Crook, has aged less gracefully. 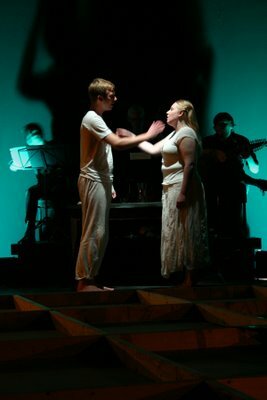 Ellen Hargis's Æglé is good, but perhaps lacks the naïve shimmer proper to the role. The test of a recording's merit is generally in the supporting voices, which here are hit-and-miss, with some strained and pushed sounds, as well as occasional lapses in French pronunciation. Suzie LeBlanc (Cleone) and Aaron Sheehan (Un plaisir and other minor roles), both of whom we have reviewed live in recent years, have pleasant turns. 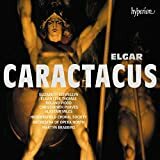 It seems unlikely that this recording, as good as it is, will not be bettered by one conducted by either William Christie or Emmanuelle Haïm (the latter seems a quite likely eventuality). However, as that has not yet happened, this 3-CD set is most welcome, and it is complete, with all of the charming dance music (and a liner essay on the dance music by respected scholar Rebecca Harris-Warwick).